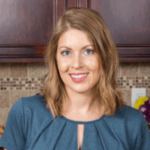 Published: Dec 6, 2018 · Modified: Apr 11, 2019 · By Jen Sobjack · This post may contain affiliate links. 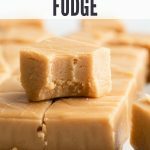 This peanut butter fudge recipe is so easy to make and perfect for giving away as holiday gifts. With just 5 simple ingredients you can have homemade fudge in no time at all! It’s been a while since I made fudge. For Valentine’s Day, I made Mexican hot chocolate fudge bites and let me tell you, those are amazing. But today is all about peanut butter fudge! This recipe is super easy. You seriously can’t mess it up!! Fudge is such a classic and an all-time favorite among many. And if you are a peanut butter lover, this fudge is probably an irresistible treat. The great thing about fudge is it stores well. You can keep in an airtight container in the refrigerator for up to 1 week. It can also be frozen for up to 3 months. Just put a few pieces in the refrigerator for a couple hours to thaw. 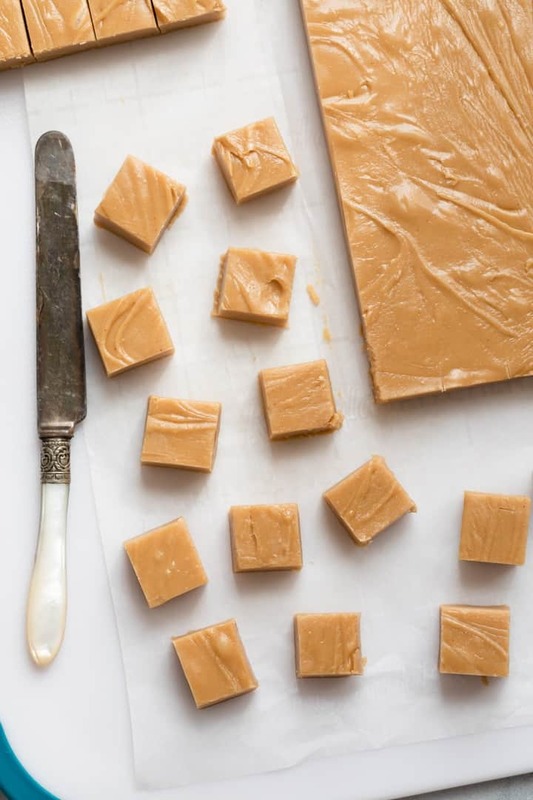 My version of peanut butter fudge is unique because it uses both granulated white sugar and brown sugar. I love the depth of flavor and color the brown sugar offers. 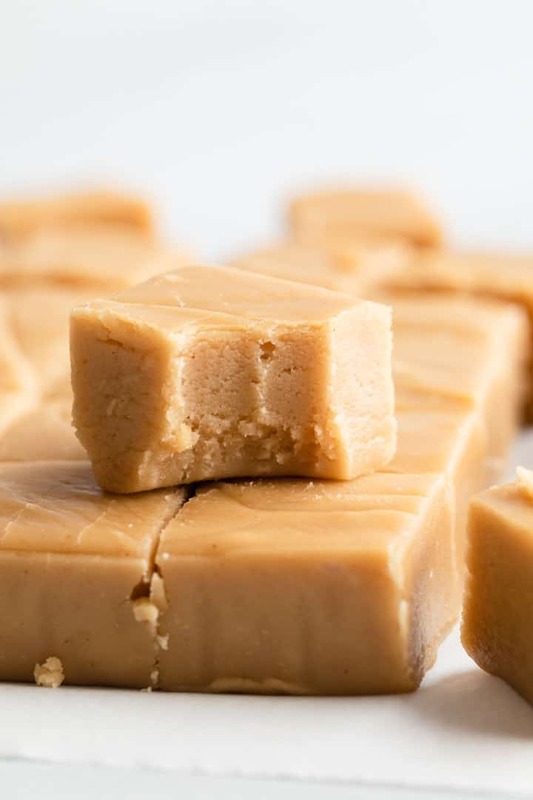 You only need 5 ingredients to make this easy peanut butter fudge recipe! 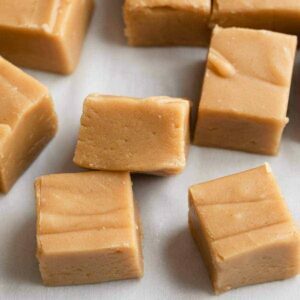 How to make peanut butter fudge? 1) Bring both sugars and milk to a boil over medium-low heat. Keep stirring so the sugars dissolve! 2) Let it boil for exactly 2 and 1/2 minutes then immediately remove it from the heat. 3) Stir in the vanilla then the peanut butter until the mixture is completely smooth. 4) Pour it into an 8×8-inch baking pan lined with parchment paper and let it sit until it has firmed up, about 25 minutes. 5) Slice it into small pieces and enjoy! I like to use a simple kitchen timer when boiling the milk and sugar. This helps me ensure the mixture boils for the exact amount of time needed. 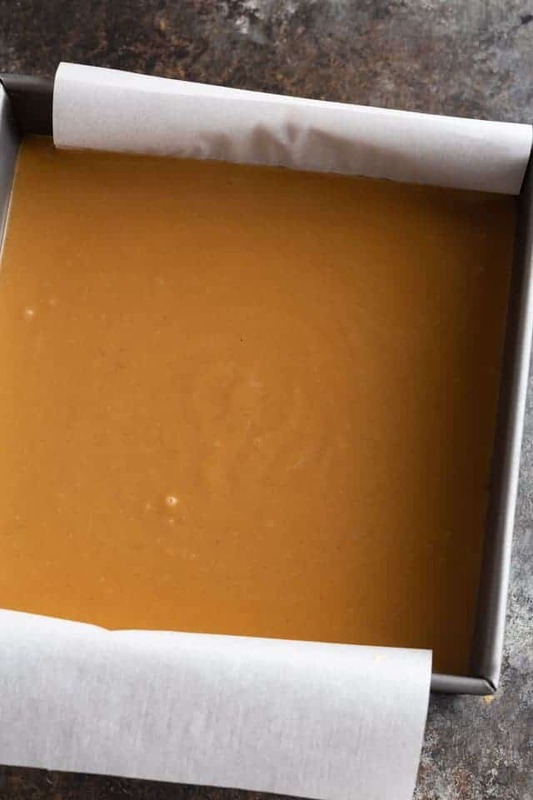 How to store peanut butter fudge? 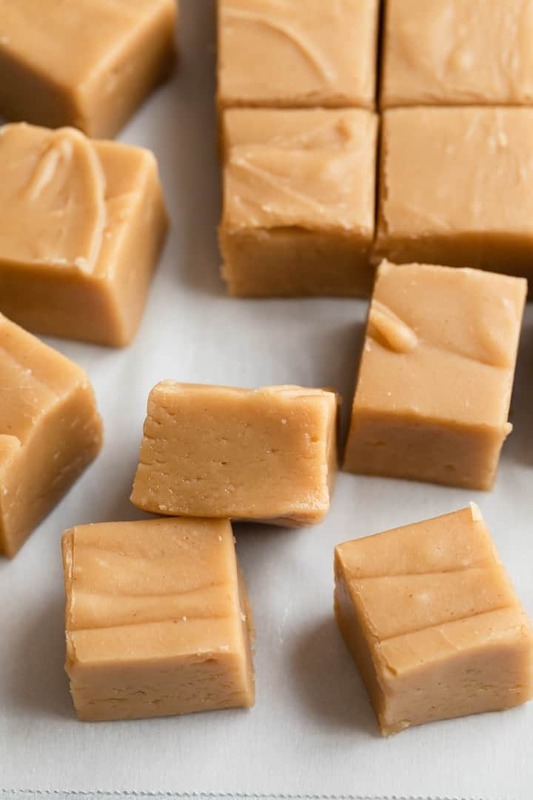 To keep peanut butter fudge fresh, store it in an airtight container and keep it in the refrigerator for up to 1 week. Allow fudge to come to room temperature before serving. You can also freeze fudge for up to 2 months. When ready to serve, thaw in the refrigerator for 2-4 hours. *Fudge can be kept at room temperature for up to 2 weeks, but it will soften so I don’t recommend this storage method. 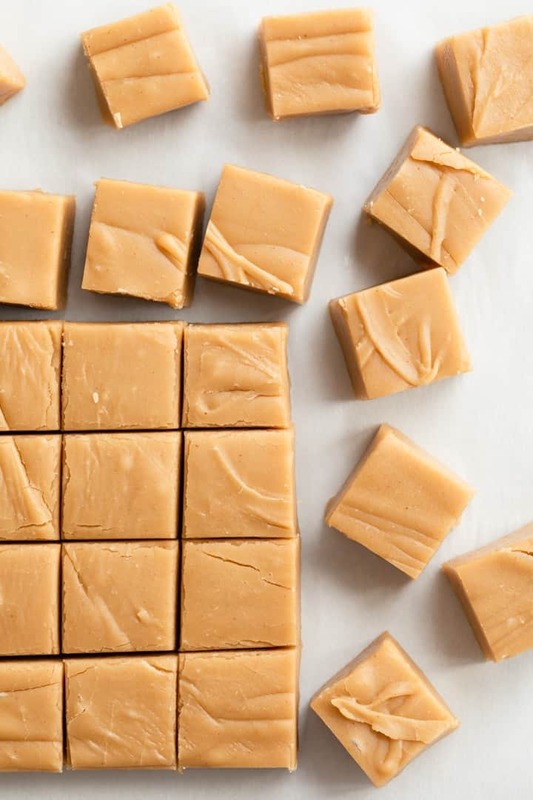 Tips for making this peanut butter fudge recipe? As the milk and sugars are coming to a boil, keep stirring! This will help the sugar dissolve leaving you with a grit-free fudge. Whole milk is absolutely necessary for this recipe. Don’t try to use a low-fat or dairy-free substitute. You can use crunchy peanut butter or stir in chopped nuts of your choice to give your fudge texture. Peanut butter is a favorite among many! If you enjoyed this fudge, you may also like soft peanut butter cookies, chocolate peanut butter cheesecake, peanut butter pie, and peanut brittle. Line an 8×8 square pan with parchment paper, leaving a slight overhang. In a small saucepan, slowly bring both sugars and milk to a boil over medium-low heat. Let the mixture boil for 2 and 1/2 minutes, stirring constantly to ensure the sugars dissolve. Remove from heat, stir in the vanilla followed by the peanut butter until smooth. Pour into the prepared pan and let cool until set, about 25 minutes. Slice into 1-inch pieces.